Home » CTFOB and Giving Tuesday…. We have big dreams here at Changing the Face of Beauty. Dreams that we hope we will achieve in 2016. 1/ Educate our future through a media project that will provide an environment to have an open conversation about how it feels to NOT be seen in our media industry. Through this we will train the future to make the right decision when they are faced with a decision. 2/ Create a database that will house “REALISTIC” disability imagery. Imagery that shows in how disability is really woven right into our every day life. We believe this is the quickest way to get disability in advertising regularly. 3/ Speaking up. We hope to send speakers who are experts in the buying power of the disability community to marketing conventions across the country. If you know more you do more. 4/ We want to make our mission available to every marketing firm and marketing department out there. We want them to know the importance of inclusion in advertising and why THEY should get on board. This past week we dipped our toes into the water of the future. We took our mission and our conversation to a school in Chicago. 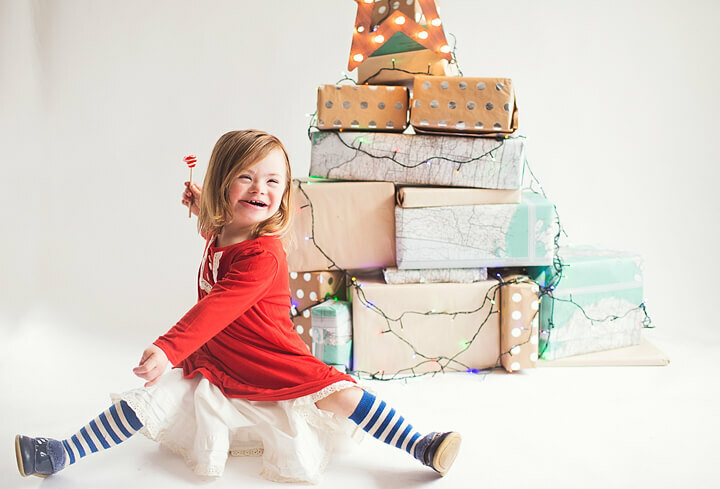 We shared exactly how it feels when you flip through over 100 print ads and never once see a person in a wheel chair, with a limb difference, or with Down syndrome. The kids worked hard to prove me wrong. They searched and searched with no success. They knew at that moment how under represented the population who happen to have a disability really are. CTFOB Burr School Chicago – 2015 from katie driscoll on Vimeo. We reminded them that this change is not sustainable without their support. We made sure that when those 175 students left that day they KNEW that they could and will change the face of beauty. We are confident through each school, each conversation, and each project we are that much closer to seeing inclusion all the time in our general advertising. Dress pictured from “Proud Participating Company” The Measure. This means more opportunity for everyone. It is not right that the disability community and their families are continually left out in something our society takes for granted. Being Seen. Lets change that in 2016. Won’t you help us do that? Consider donating to make that change on this “Giving Tuesday”. Help us paint a beautiful picture. A realistic picture of just how our society really looks when we look in the mirror. Lets Change the Face of Beauty together.